A Ground Breaking Book for the Evolution of Humanity! A glimpse of the exciting and enlightening future that is possible, which will inspire you to become an agent of change. 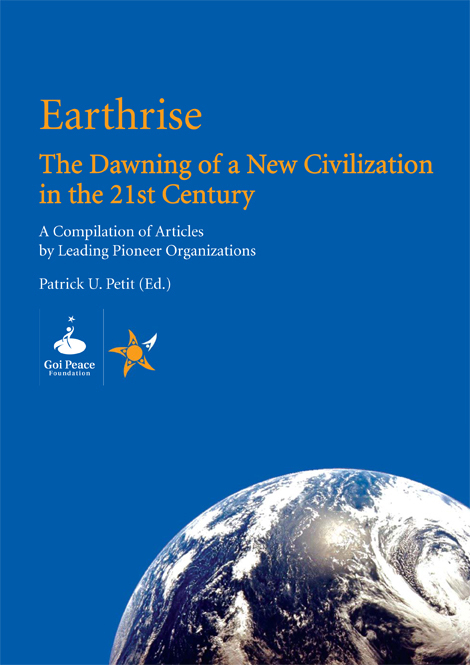 31 leading visionaries of Pioneer Organizations share their insights on the emerging New Civilization based on Earth stewardship, social and economical balance and spiritual consciousness. This is a ground breaking compilation offering the wisdom of 31 cutting edge leaders and visionaries of pioneer organizations who are instrumental in crafting a consciousness shift in the world of human development, business, science and politics. This is a valuable reference book for anyone interested in acquiring the knowledge on how pioneer organizations are taking evolutionary steps for the betterment of humanity.